We are Dan and Will. 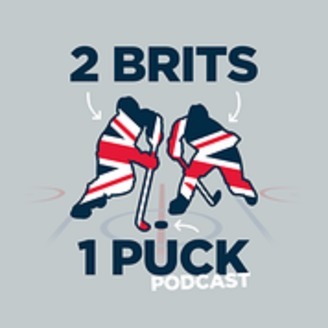 2 Brits who love Ice Hockey. 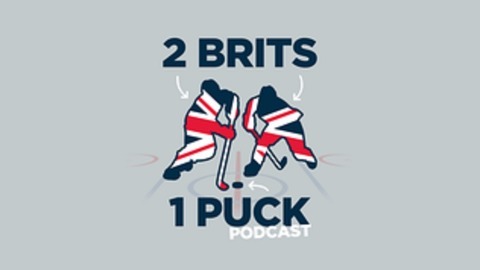 Join us as we discuss hockey, life, and all in between and why it is fun trying to follow the number 43 sport in the UK. Most of all though we just love Hockey. @danstraightedge @weverett @2brits1puck. 11 Apr 2019 - This week Dan and Will discuss changing the playoff format. Smooth Recap. Winning the cup/Getting relegated. Starters/Scratches incl (An awesome kid in Calgary, first game hat tricks and a punk kid in Calgary). Then onto the news of the week. An unnamed Russian player who was banned seems to now not be. The draft lottery happened and no one seems to care that the Devils won again. Taylor Hall is a specialist in balls and tweeting. The Rangers pick for the first time in over 50 years in the top 3. Should teams be allowed to tank or should we change the lottery rules. Coaching changes in LA, Buffalo and Florida with one of those teams maybe getting a coaching genius. Spoilers. Its not Florida. Then onto the playoff predictions that mean something as the loser between me and Will, will have to parade around a city declaring our stupidity. Just how many games combined will the Lightning lose on their way to the cup....forget last nights results though. The final result of man v Coin flip and loads of other guff.